History Bites: Detroit and Its Infamous 8 Mile Rd is Eight Miles From? You know where 8 Mile is, but 8 miles from where? That would be the Point of Origin Marker in Downtown’s Campus Martius. In 1805, when Augustus Woodward laid out Detroit’s spanking-new city plan, he climbed a giant rock at the highest point in the city. From there he laid out plans that would span miles in every direction, with each major road to be one mile further north from that single point. 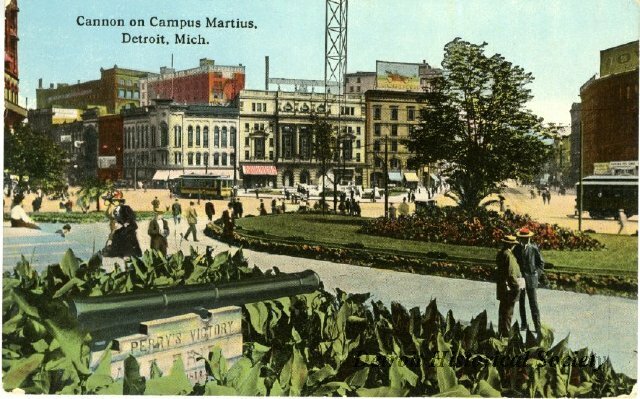 In Detroit, all roads do lead to Campus Martius.